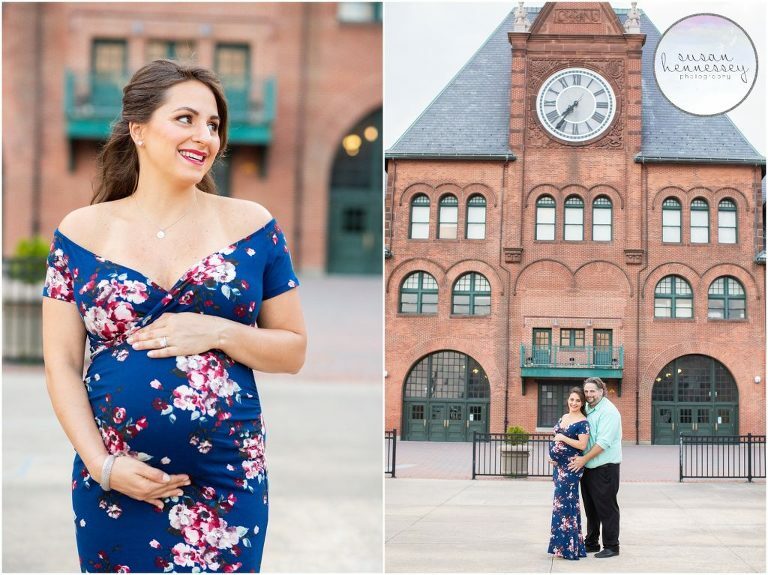 This past year, I have had the opportunity to be so many couple’s South Jersey Maternity Photographer and I never blogged them! Well today, I am blogging my last four! 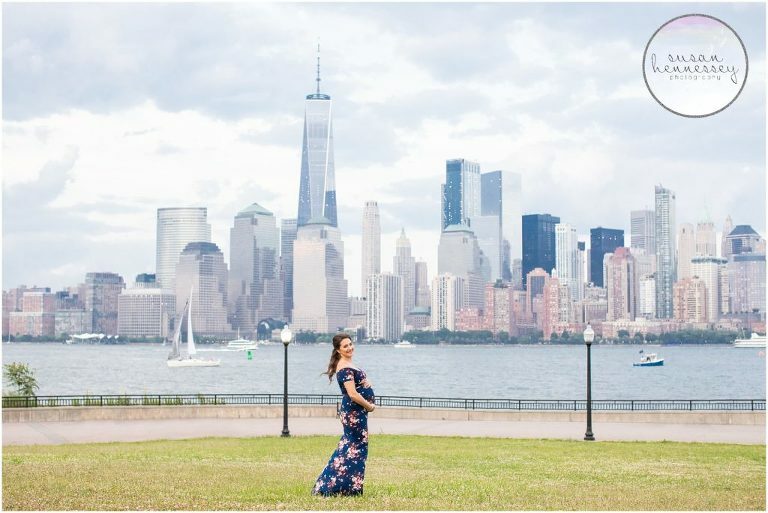 Last Summer, I photographed Lindsay and Mark’s Jersey City maternity session at Liberty State Park. 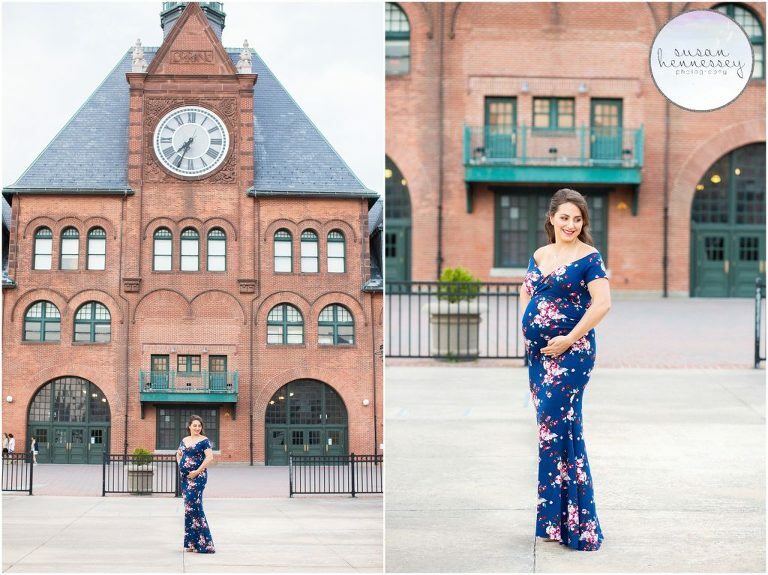 I met my glowing couple for their session on a beautiful July evening only one month before their little girl arrived and we used all my favorite spots in this Jersey City park for their photos. 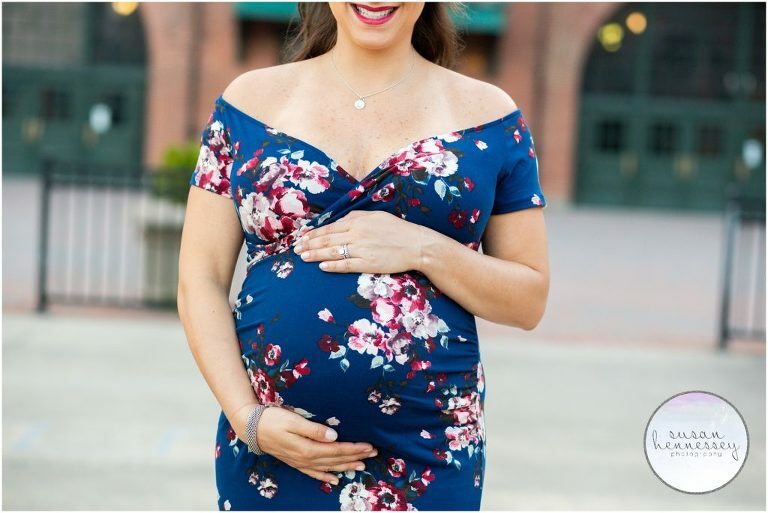 I absolutely loved shooting this mama to be for her maternity photo shoot in this gorgeous navy blue dress from Pink Blush. In May, I photographed Amanda’s maternity session at Boundary Creek in Moorestown, she and Ryan were married in September of 2017 and I was lucky enough to be their wedding photographer. I absolutely adored seeing these two again as I always love seeing my wedding couple’s grow as families, they welcomed a beautiful little girl named Rory in July and she is also good friends with my Oliver as these two only live a few minutes from me! Christina and Chris were married last December and were due with their first the following December, I was so happy to see them again! I met with Christina and Chris on a chilly October morning to capture this glowing mama to be at Longwood Gardens. Christina also wore a Pink Blush gown and I loved the colors. These two welcomed a beautiful baby girl named Ava. Brittany and Noah were my last maternity session of the year and after getting married in October 2015, I was so happy to see these two expecting! I have followed these two around for years – first for their engagement session in 2014, then their wedding, their anniversary session in 2016 and Brittany’s sister Heather’s Mexico wedding! Baby girl Kaye is expected any day now! Are you looking for a South Jersey Maternity Photographer? Click here to view my portfolio and if you’re ready for more info, click here to fill out my contact form!